Customers that have issues heating or cooling their home need help right away. 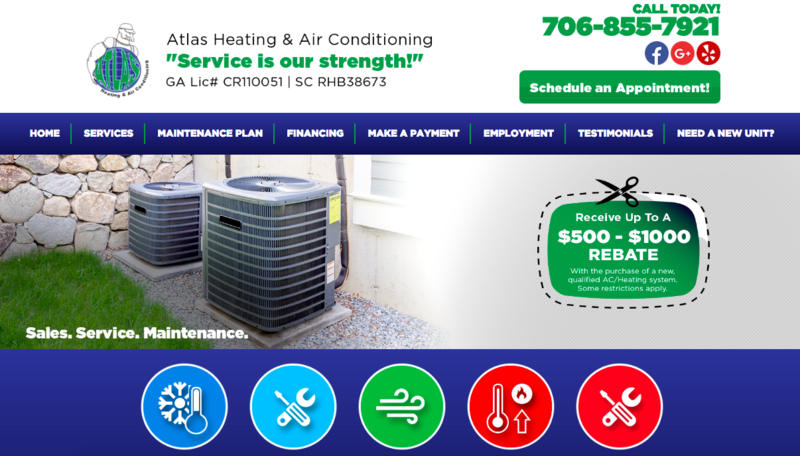 This website redesign for Atlas Heating and Air Conditioning made sure that the services they provide are clear, and that a customer can contact them with a single mouse click via the Schedule an Appointment button. We always take clients into consideration when helping design sites for businesses. We can help you meet your customers’ digital needs. Contact us today!